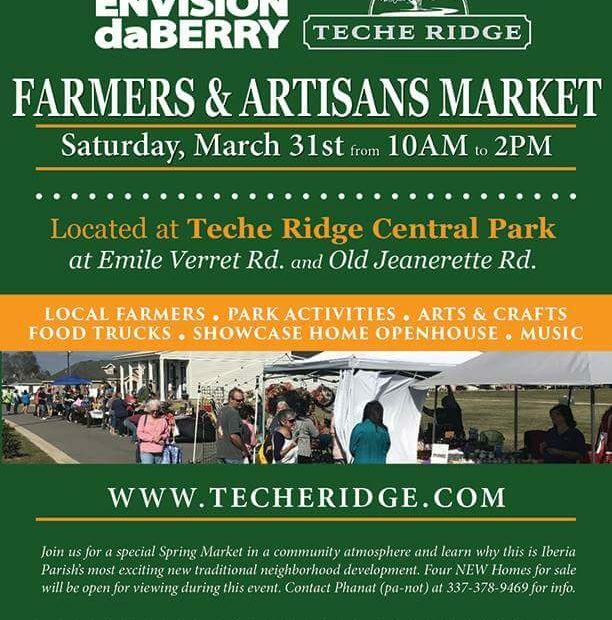 Envision DaBerry’s DaBerry Fresh Market will hold it’s 2018 spring farmers and artisans market at Teche Ridge on March 31, 2018 with over 40 craft and home business vendors as well as food trucks and delicious sweets. There will also be entertainment for the kids. Check out all events at www.facebook.com/techeridge to see what vendors are attending and what’s in store for the kids.